We are a leading prestigious school in the field of education located in Riyadh KSA. 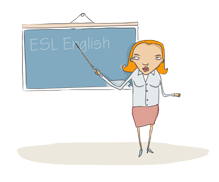 DUE TO VISA - ONLY NATIVE SPEAKERS ONLY! Must have international school experience with American curriculum. 2. Minimum Experience 2 years’ experience (English, Math, or Science related!!!!) preferably in the international education. 5. Reference letter from previous education institutions with official letter head. PLEASE EMAIL : k.davis@riyadhnajed.com , nawar@riyadhnajed.com.